Making a fortune as a blogger is probably a task to figure out when you start blogging and getting a reasonable daily traffic. 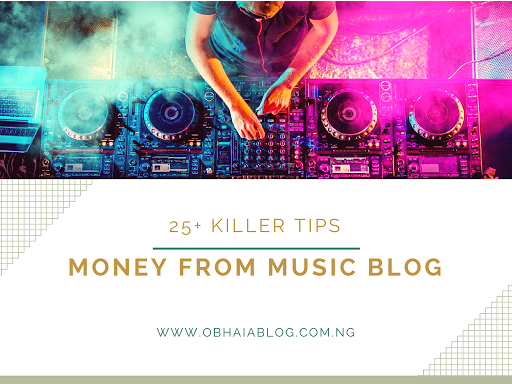 Music blogging is no different from any other blogging niche but how to make money as a music blogger is different from other blogs. I have also read “do what works best for you”! But how do you know what’s best when you have numerous options and don’t know which to pick from?. It then becomes a difficult task thus you have to manually test all options available. Following trends on social media would always make you feel you can earn nothing without Adsense and affiliate programs. Like seriously? You mean to say all bloggers should depend on AdSense? Adsense is simply over Hyped!. There are amazing ways to earn from blogging. “Content is King” – if your content can pull a crowd, it can earn!. There are many bloggers with little traffic (let’s say 1k page views daily) and they are earning money from blogging. Your greatest limitation and a frustrating feature is depending on what every other person depends on. Well, that don’t work in this century dear, start exploring and testing. There is no greater review of a product than your experience. One of the issue with uploading premium content is potential buyers and also selling copyrighted contents. But what if I tell you, you can actually upload premium content without your users having to pay. There are several websites that pay you to upload your contents. Upload your music file there, copy the download link and share it with your readers. Each download makes a dollar or less for you. Personally, I won’t do this because when you direct your users to such sites they are offered spamming ads – I love my readers I don’t want to endanger them. How much can I make from selling ads spots on my website?. how about this! how much will I make if I don’t sell ads spots?. Blogging requires patience and time. You can start selling certain spots on your blog at an affordable and reasonable price – Buyers will come up as long as your blog is worth the market. If your blog is helping me with great music hits, I would most probably donate to help make it better. Yes, some readers will not help but some will always help out. Out of a hundred persons, a few nice persons can always be found. But when doing this, don’t make it seem spamming. Adding a simple PayPal donate button at the bottom of each post or at the footer would do. There is no better eye catching ad banners than that of Google Adsense. You can monetize a music blog using Google AdSence Interstitial ads. One of the reasons I recommend Google Adsense is because it always displays relevant ad banners and links to your visitors. 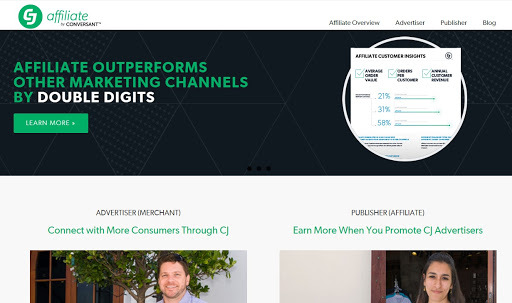 CJ formally Commission Junction is an affiliate marketplace where you can find potential advertisers who will pay you per sale, lead or click. You can always use it to increase your music blog earnings. Why not start allowing sponsored posts on your blog?. Advertising a post for a company related to music blogging can give you more money than you expect. I do see a lot of entertainment/gossip bloggers allow sponsored posts. You can also do that for your music or entertainment blog. I have heard and seen people making money from bing/yahoo affiliate program. It’s a bit difficult like AdSense to get approved, but when you get approved, you can place text links on your content and make money per click and impression. If a fashion bloggers can start selling clothes, shoes, and jewelry on her blog, who then said a music blogger can’t start selling Headsets, Accessories, CDs?. Finding a market for your online business is all it requires. Build a shop and integrate it with your music website where people can buy various kinds of stuff related to music. Selling can earn you a fortune!. If selling your own stuff is a difficult task then you can consider promoting music related items on your blog and earn a commission per sale. Jumia is a trusted e-commerce shop, therefore, advertising for them will be a very easy task. If you get the whole idea behind sponsored posts, Adblabla sponsored post can pay for your monthly subscription and hosting. You simply publish a post and get paid a certain amount – ranging from 250naira. No better way to get relevant clicks than to place then in links!. Infolinks does this for you. When accepted into this program. InfoLink will automatically add affiliate links to important keywords on each post. If a user clicks on any of these links, you get paid!. No other person will pay for a promotion than an upcoming artist. You can offer banner ads, profile ads and sponsored post ads to upcoming artists especially now that entertainment success depends on blogs and social media. Set a price for it and see them come and advertise their profile on your blog. Keep the price moderate so it can be afforded. One of the best but exclusive methods of earning from a music blog. You can simply turn your blog into a premium blog by offering a subscription plan. Users will pay to access your mp3 contents. By doing this you will lose a lot of views but it will grow with time. We have big music sites practicing this. When offering paid subscriptions you don’t need any other ads platform. Native Ads is an affiliate platform that displays post adverts on your blog. You make money whenever a user clicks on it. It looks like a related post widget which you can simply place at the bottom of each post. Anyone that loves music needs a good phone, Ipad or tablet or even an MP3 player. Konga offers all these items on sale and you can earn a commission by recommending any of their products through banners or blog posts. If you want to be like the big entertainment blogs then you have to do big things. Linda Ikeji started “Self-made woman” and very soon she will start getting sponsorship from companies, NGOs, and government ministries interest. You can also start such a program on your website and in no time it will make you famous and increase your blog earnings. You probably know what this means. Reviewing sponsored album and tracklist can increase your blog revenue. While people are busy visiting your blog, you are busy collecting money from artists, record labels and music promoters for sponsoring their album review. This is hard to get into because you need popularity and high traffic to gain attention from them. Build up social media profiles and link them up with your blog. After that, you can simply offer promotion deals to music marketers, singers etc. As a music brand you can set up a promotion plan on your blog and people come purchase a plan and you simply promote them. It could be to publish and share all their music to get a specific number of downloads etc. A music blogger that can not create a mixtape is that one a music blogger?. Making money online is about becoming innovative. You can create a mixtape comprising of hot jams depending on your music niche and start selling online. There is no bigger online shop bigger than Amazon. Amazon affiliates bring you a huge portfolio of things you can easily recommend and make money from. Amazon provides both post widgets, links, and banners. Many individuals in the world love buying from amazon you too can start selling for amazon. Sending a mail to a potential customer who loves music, run a promotion site, has a music shop etc is no bad way of increasing income. Many bloggers reach out to people who might be interested in advertising with them. 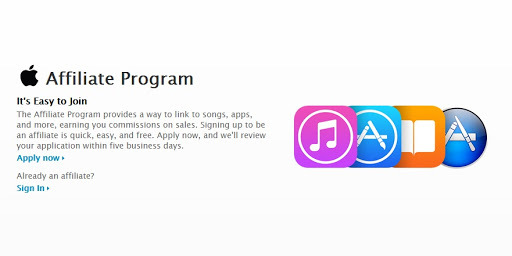 Joining Itunes affiliate programs provides you an option to promote various music files and apps and get a commission for each sale. Itunes is common these days and a lot of persons are purchasing items from Itunes app and music store, you too can make money for it. Your potential customers are music lovers. Spotify, Pandora, Rhapsody are a few of the popular music websites with unlimited music files up for grab. But they need customers to grab these files! how about recommending these customers to them?. Most of these big websites often have affiliate programs but if you don’t find an in-house affiliate program at any of them, you can find them on affiliate marketplace like CJ, ShareASale etc. On my facebook post, a friend recommended this service and said it pays high CPC up to $0.8 for a Nigeria blog which is actually higher than that of Adsense. I have not used propeller Ads, I did apply years back but was not approved. Give it a test and let’s see in the comment box. I found Juno on one of the blogs I was reading about music blogging. Juno is a huge online music store with tons of music types of equipment up for sale. Selling for Juno might just be the big breakthrough you need. Info: This post is a section from a great E-Book on music blogging which will soon be published by me. This Ebook will show you how to move from a novice blogger to a famous blogger. I have tested and reviewed the above platforms and methods of making money as a music blogger and they work very well. But you should avoid spamming your users so as to protect your blog’s user experience. Using up 5 of this platforms will help improve your earnings but also note that earning is not all about placing banners, it also involve placing ads in high paying strategic places. Wow Jhon You give me more ways to make money with music blog.I just thinking to create my music website to make money and you just solved my problem.